The reception of Grand Theft Auto games always mystifies me — I admit they are great, but reading those reviews you’d think they were a second coming of Jesus or something. 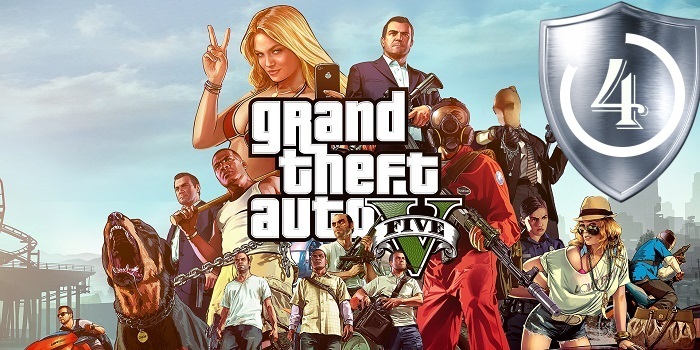 GTA V is a meticulously designed, thoroughly enjoyable sandbox, but it definitely pales in comparison with San Andreas or Red Dead Redemption, especially as far as the story is concerned. The game has a strong start, but it soon devolves into what seems like a string of random set-pieces that neither advance the narrative, nor do anything interesting with the characters, up until you suddenly take care of all of your troubles (that were brimming from the first few missions of the game) in the last mission all at once. Over 80% of the story missions is just random bloat — though I suppose it’s still a fun bloat.